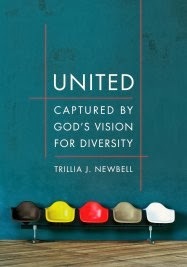 I am honored to share today a recent interview I did with Trillia Newbell, author of the new book, United: Captured by God's Vision for Diversity. I am especially intrigued by the subject of diversity and the church and was glad for the opportunity to discuss it with her. Q: After so much progress in society regarding diversity, why does the church remain relatively unmoved? A: Perhaps we are all tired of the conversation about race. It doesn’t take much to recognize that our country continues to be divided along racial lines. Perhaps it seems that the country is moving toward unity, but it’s a façade—just check your local news. And though our society may want to move on, we can’t, and neither can or should the church. Maybe our churches remain segregated simply because it’s comfortable. There’s nothing malicious to it; we are just more comfortable with “our own.” But also, it might be because diversity and racial issues are scary. Talking about race and racial reconciliation can be downright terrifying. No one wants to offend, and in our politically correct society, who would blame you? If you say the wrong thing, ask the wrong question, or call someone by the wrong name, will they be angry? Are you black or African-American? Chinese or Asian? Hispanic, Latino, or Mexican? This is an explosive topic, and sometimes it seems that the wisest course of action is to avoid it at all costs. Q: You believe it’s vitally important to fight through the risks and the discomfort in order to fully live out the gospel of Christ. A: Yes. We can so clearly see throughout Scripture that God celebrates the diversity of His creation. He does not distinguish between races: He created man in His own image, sent His Son to save the world, and saves anyone who believes. God calls Christians to be imitators of Christ and to walk in love. If He doesn’t show partiality, neither should we. The problem with the current church model and experience for most of us is that while we affirm these truths with our lips, Sunday morning reveals a different story. A: I was taught by leaders whom I respect that it is okay to have a desire for diversity in music, activities, and the general environment. It is okay to think that, overall, the music, activities, and general environment should consider the entire congregation. Did you catch that? I’m not just saying music; it’s the activities as well. My church had wonderful events, but they were often geared toward one audience. If your church is truly seeking diversity (in any way), your activities must be diverse. This includes the activities for women. As we begin to view members of our churches as members of God’s family and thus as members of our family, our prejudices begin to crumble. Racial reconciliation is not only possible; it’s a must because we are the very family of God. That’s astounding. We are created equally. When Christ calls us to himself, He does not look at who we are in terms of ethnicity, nor does He call us because of who we are in any other way except that we are dead and in need of new life. We are equally saved. As a result, our churches should be the most gracious environments on the planet. More than any other place, the church should be more open to and excited about having people unlike themselves. This gracious environment must begin in our hearts. We have to look to Jesus and ask for grace to emulate His grace. Q. I am a pastor's wife (as are many of my readers). I desire to see our church become more racially diverse. How can I as an individual practically be a part of change? A. What a great question and one that I address in United. I don’t address pastor’s wives specifically but I think it applies as well. We could all simply invite people into our homes. I think we can complicate the pursuit of diversity. But I think if we show hospitality and love to others in general we can begin to build churches that are diverse. I don’t want to over simplify this; there are difficulties such as location of church, etc. I do, however, believe we can start by simply building relationships with people not like ourselves. Q. Give us eyes to see: how do minorities experience racism in the church in ways that we might not recognize? A. I cannot speak for all minorities; I can only share from my own experience and from the experiences of those who have contacted me to share. But before I think through experiences, I think it might help to define racism. If someone is blatantly opposing another because of their ethnicity then what I believe we are addressing is hate. Hating another person is clearly sinful. In Matthew 5:21-26, Jesus gives no room for debating whether hate is sin—he goes on to say that we should not be sinfully angry and our anger is worthy of hell. We see in 1 John 3:15 that hate is considered murder. We know this to be true and thank God for his forgiving grace. The point is, racism is a serious offense. I think we’ve got to understand that it shouldn’t be minimized. As far as blatant racism goes, I experienced that as a child visiting a church. A woman said something unkind and then made me and my friend sit near the back of the church. Most of the time, however, I think that people might experience a more subtle form of racism or perhaps partiality. In other words, someone might not speak to someone of another ethnicity or you might leave someone out of gatherings. I think it comes out in dating relationships as well. Someone might resist pursuing someone based on race (not because of lack of attraction). And we’ve seen churches ban interracial marriages—this I believe is a form of racism. I’m only scratching the surface on this topic. Q. What are hindrances to a pursuit of diversity in the church and how do we move past those obstacles? A. I spend Chapter 8 in United addressing some potential hindrances. Location can definitely make pursuing diversity more complicated. So if you are in an area where the community is homogenous, it may be harder to reach beyond that ethnic group (not impossible, just harder). Another difficulty is the sin of partiality. James 2:1-16 addresses this temptation. We can be partial to those like us and therefore reject others or partial to those who we think are superior and better than others. It’s a temptation that we have to fight against. I think another potential problem could be fear. Fear of the unknown, afraid to make the effort, afraid to step out of our comfort zone. You name it. These are a few potentials. But even still, God can give us grace to overcome all of this. There is great hope in the gospel. If God can reconcile us to Himself, surely He can reconcile us to each other. I have a lot of hope in this pursuit because I have a lot of hope in the gospel. 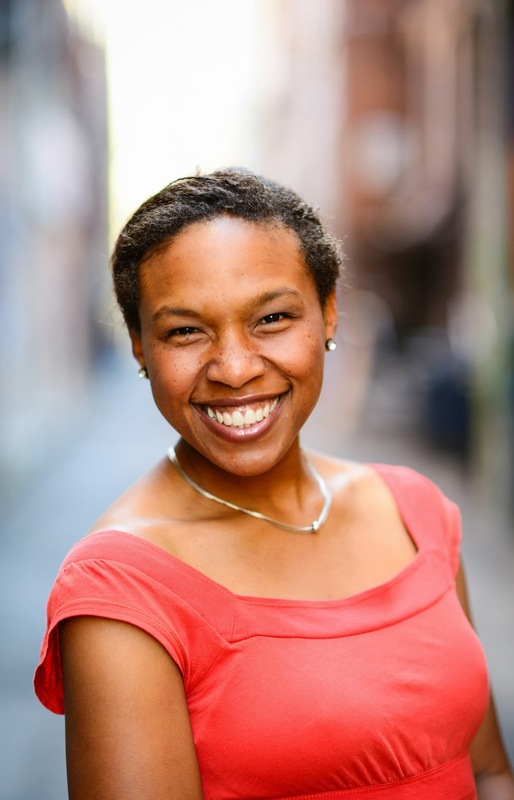 Trillia Newbell is the Lead Editor of Karis, the women's channel for the Council on Biblical Manhood and Womanhood. She is also the consultant on Women's Initiatives for the Ethics and Religious Liberty Commission for the Southern Baptist Convention. Her work has appeared on Desiring God, The Gospel Coalition, The Resurgence, and more. Find out more about her book, United, by visiting her website: www.trillianewbell.com.